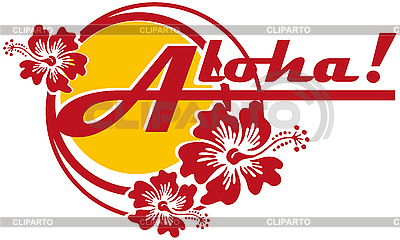 Vectorial on Hawaiian themes with inscription Aloha!. Work can used such as logo. No gradients and blends.